Looks a little like a martian landscape or an electron microscope image, doesn't it? 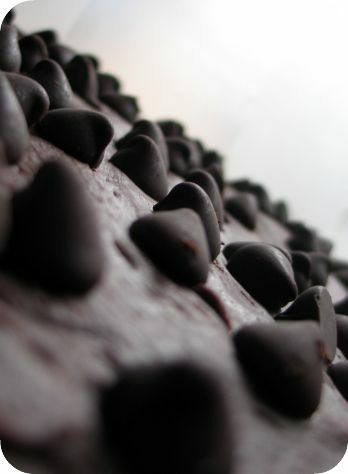 Actually it's just a close up of the surface of the incredible fudge I made for my friend Pooja for her birthday today. She wanted something "very chocolaty" and left the rest up to me. Last night, about half an hour before I needed to go to bed, I realized that I completely spaced her birthday. Since I try to keep my pantry stocked with the baker's basics, I had everything I needed to make her something she was sure to enjoy. 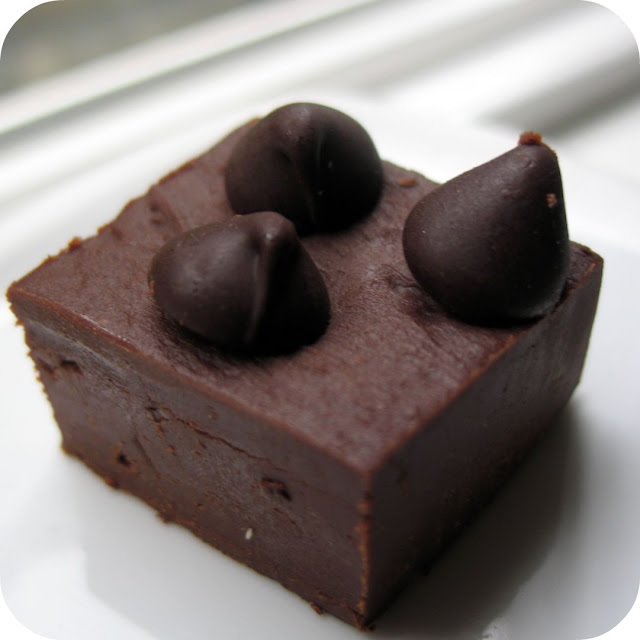 What I loved about this recipe is the texture of the fudge. I normally don't like fudge at all because it tends to be grainy and overly sugary. But this fudge was exceedingly smooth and not too sweet. Plus if you wanted to add your favorite nuts, dried fruit, or use something other than chocolate chips like butterscotch. I bet it would work just as well. Yield: I cut the fudge into fairly small, bite sized pieces and got about 50 servings. Line a 8-inch square pan with waxed or parchment paper. Place the chocolate, butter, and condensed milk into a medium sized saucepan. Heat gently, stirring constantly, until the chocolate and butter melt and the mixture is smooth. DO NOT BOIL. Remove from the heat and beat in the vanilla and continue to mix for a minute until thickened. Pour it into the pan and smooth the top. Sprinkle the chocolate chips, nuts, or coconut on top, if desired. Let the mixture chill in the fridge for at least one hour or until firm. Remove from the pan by lifting the waxed paper out of the pan. Peel off the waxed paper and using a heavy knife, cut into squares. Store at room temperature for slightly soft fudge or in the fridge for firmer fudge. I love this recipe. I use it every year, substituting peanut butter chips for the chocolate chips. It is our favorite fudge. At one of my sister's boutiques one year, we had a man visiting us while his wife played in the symphony. He swore that our fudge was the old fashioned kind made in a cast iron skillet. I had to take him to the kitchen and make a batch to get him to believe me! He marveled at how creamy it was. I forgot to add, mine is done in a microwave. I remember holiday baking with my Dad and fudge was one of the things he made with us. Yum! This brings back memories. I don't think I've had fudge since the last time he,my brothers and I made it together which was years ago. ugh, man, i am so pms-y right now and i needed to see a picture of fudge like i needed a hole in my head ;) this looks so good i'm drooling on my shirt! i want chocolate soooo badly!!!! I really crave for good choclate desserts. This was the best i ever had. The best thing i liked about this fudge was...it was either very sweet nor very creamy...just very appropriate. Simply Loved it!! Thanks a Ton..
Not to be a pain, but does anyone know about how many cups the "2 3/4oz or 75 grams of unsalted butter" and/or the "1 pound 2 ounces or 500 grams semisweet chocolate chips"? 2 3/4oz or 75 grams of unsalted butter is roughly 6 tablespoons of butter. 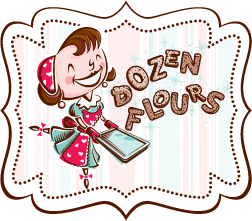 1 pound 2 ounces or 500 grams semisweet chocolate chips is one 12oz package of chips plus roughly 3/4 of a cup. YUM! I melted a few white chocolate chips, made dobs all over then swirled a pretty pattern on the top. It added this really nice little crunch and a very pretty design. Wonderful recipe, and one my husband enjoyed doing with me (wasn't too hard lol). Thank you!